I have loads of collections of Party Music just for this purpose. I don't yet have these yet, but I'm looking to add them to my collection! I also like to play music connected to what's going on in the world, or connected to what we're learning. Around every patriotic holiday, I play patriotic music. I have loads of great music for those days! When I was celebrating the Olympics, this CD came in handy. The children loved listening to the National Anthems of other countries. Of course, when our own national anthem played, we always stood up, no matter what we were doing! I play this around St. Patrick's Day. I play this around Cinco de Mayo. Music helps make a real connection to whatever children are learning. 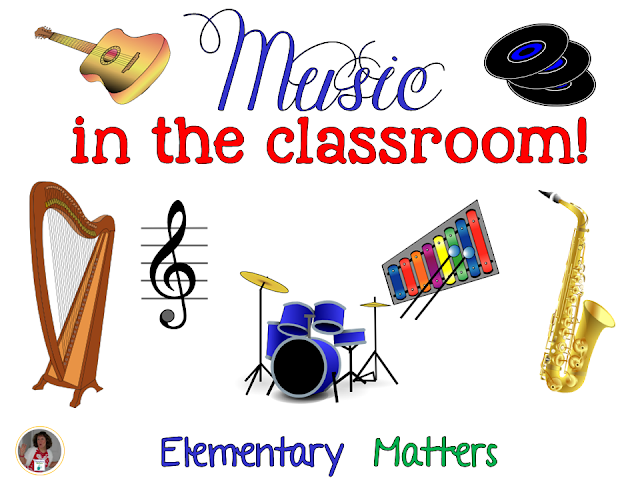 What music do you play in your classroom? I am going to seriously be on the lookout for that dance party box set - how awesome is that?? Thanks so much for linking up! Hi! Thanks for sharing. I love playing music in my classroom. My children love it too. The most common music played is what we call "working music". That's anything without words. My kids will actually say, "Can you put on some working music?" i used to use CDS, but now I use pandora for everything!!!!! I was even able to type Halloween music into the seach box and it played Halloween music. I LOVE pandora.